WS means the wrong side of the fabric. 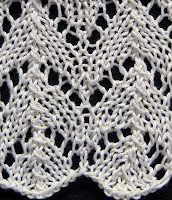 Could you use this lace stitch for a semi circle shawl? I do not understand the +1. The pattern appears to have 10 stitches. What happens to that +1 stitch? I answered my own question. It makes a boarder on the other side. Thank you for making my brain work. 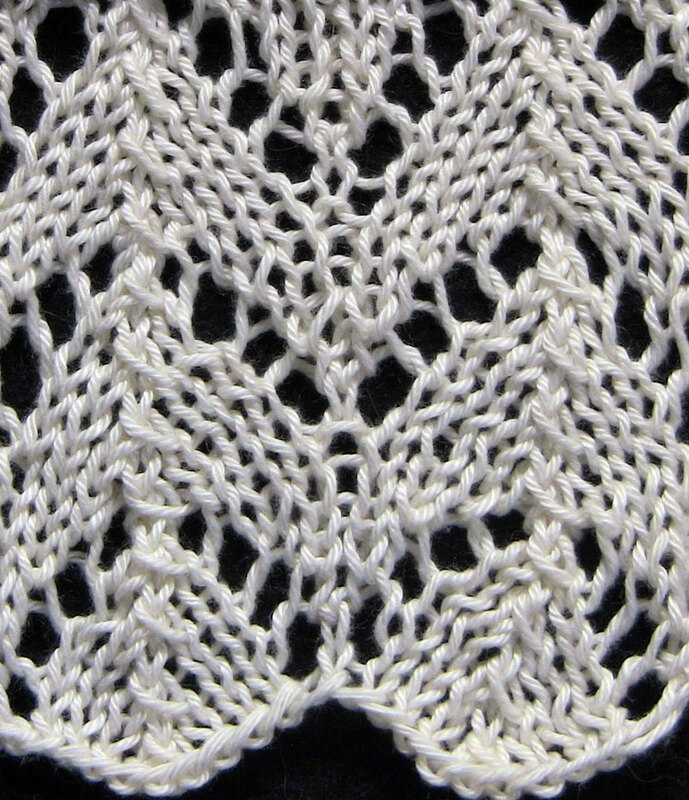 Many stitch patterns have one or more balancing stitches, the pattern wouldn't work without them. The extra stitches aren't considered a border. Thank you, Sapphires-N-Purls, I finally figured that out after many trips to Google and Youtube. Gostaria tanto que tivesse essa receita traduzida nao consigo entende la em ingles e tenho vontade de fazer esse ponto e em ingles ta dificil amiga. Desculpe, eu só falo inglês. Você pode tentar inserir instruções no Google Tradutor.